A minimum of five years of critical care / emergency / pre-hospital experience is required to work with ATS. Our teams currently average between ten and fifteen years in these areas. In addition, our registered nurses must be nationally certified in either Emergency (CEN), Critical Care (CCRN), Flight Nursing (CFRN) or Pre-hospital as a Nationally Registered Paramedic (NREMT-P). Our respiratory therapists must be licensed as a Respiratory Care Practitioner as well as a Certified/Registered Respiratory Therapist. Our paramedics are all certified in pediatric advance life support (PALS) and are trauma certified (BTLS or PHTLS). Due to the international services of ATS, many of our Aeromedical Crewmembers speak foreign languages and all are required to have a valid passport. 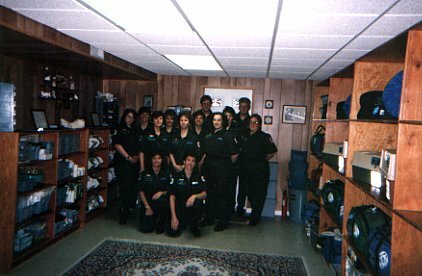 In addition to the paramedic requirements, many of our nurses are pediatric certified (ENPC, PALS or PENEP) to provide care for the unique problems associated with the pediatric patient. Several of our crewmembers are also burn certified (ABLS) to care for the challenges encountered with the traumatic burn patient. 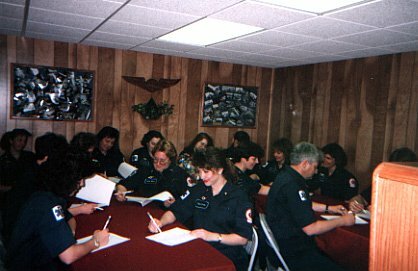 Each crew member attends regular staff meetings and training to ensure that they are up on the latest with in-flight medical care. Continuous quality management and skills review serves to promote an atmosphere of professionalism that gives ATS a medical capability that is unparalleled in the industry today.